When Gravity first floated onto screens in 2013 it rightly caused quite a stir; being one of the most technically inventive films in a very long time. Since then the world seems to have forgotten about Sandra Bullock drifting to her doom, and the likes of Birdman have swooped in to steal the one-shot take thunder. But revisiting this modern classic on blu-ray really helps confirm that this was a lightening in a bottle moment for cinema. Films that have come and gone since Gravity – films such as The Martian – have proved just how difficult it is to make outer space look so darn realistic. It is easy to forget that Gravity redefined the space movie in a way that hasn’t been done properly since 2001: A Space Odyssey. Before Alfonso Cuaron and his team created moments like the breathtaking meteor strike, we were still just watching slow moving men on wires, static cameras and wholly digital figures, to substitute the reality. If Gravity is anything, it is a fully immersive ordeal that takes its audience on the most authentic experience possible. The film does have its faults; the main one being its repetitive nature (space, problem, space, problem), and the fact that no real discernable narrative exists other than ‘don’t die’. Also, the closing moments, although rousing, are a little bit ‘dues ex’; and don’t really fit too well with the film’s intended legitimacy. 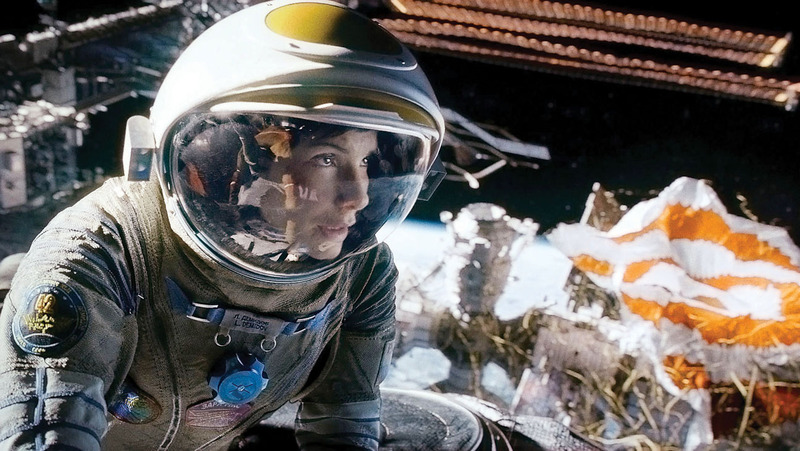 Sandra Bullock is an absolute titan as she brings her best performance to the role of Ryan Stone. Granted, there are moments when her acting is substituted for heavy breathing, but her overall presence in the film elevates it to a classic in the survival movie genre. In fact, Gravity in a double-bill with Reece Witherspoon’s Wild would prove a perfect example of two outstanding Oscar movies with actresses at the top of their game. Previous features such as the heart warming short Aningaaq and the Shot Breakdowns still stand up to scrutiny. They deepen the experience of watching the film, whilst other Behind the Scenes footage give intricate details about the making of process. These are essentially a glorified director’s commentary. And like all commentaries, there are moments of boredom met with runs of interesting anecdotes. In case you didn’t know, Gravity is all a giant metaphor. Said metaphor is picked apart in Gravity the Human Experience. Everyone involved in this previously limited release, is quick to tell all about the joys of space travel; whilst real life astronauts give George Clooney their seal of approval and the wonder of walking among the stars in explored. Collision Point will quickly erase any temptation you might have go to into space, with its terrifying look at space debris. 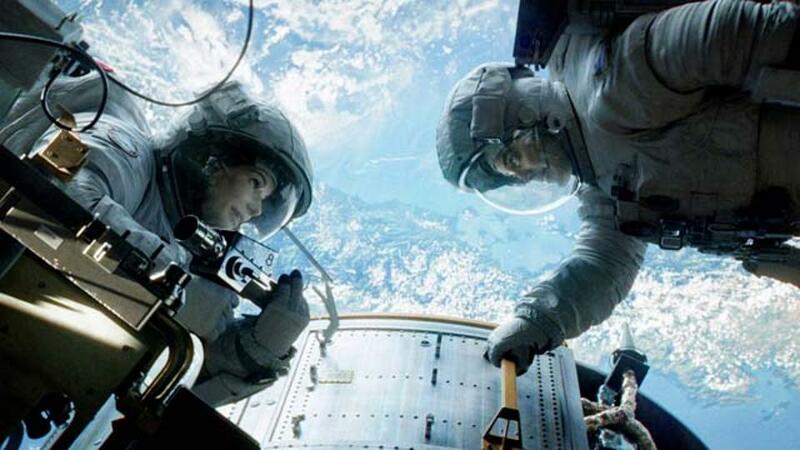 It also illustrates just how much effort went into making Gravity an authentic narrative. Then there is Sandra’s Birthday Wish which is cute and all, but it’s a bit of a private joke between the actress and her director; the equivalent of watching someone else’s home movies. How Francis Dolarhyde of us all! Looking to the Stars alone warrants the purchase of this disc. It’s an awe inspiring look at the history of space and its role in cinema. Then there is the all new, Gravity: Silent Space, which is basically the film with an isolated soundscape; no music. This genuinely is a whole new viewing experience. It’s eerie watching the film in this way, but a very rewarding one that immerses you in the story and makes you realise just how amazing the sound editing on this film was. Often, when a film is re-released one cannot help but smell a whiff exploitation. Rarely is the case that a film gets numerous releases in a short period of time, unless of course someone see an opportunity to make money. 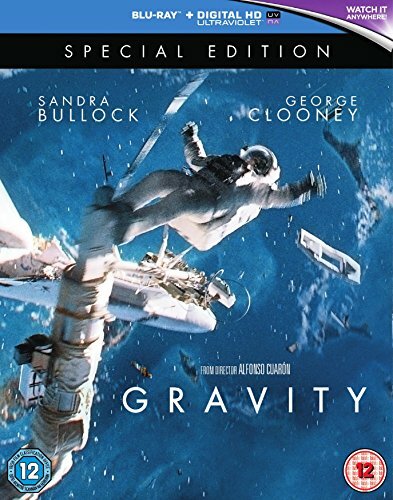 Thankfully, this gorgeous ‘special edition’ for Gravity is loaded with substance and makes for a splendid addition to any collection.